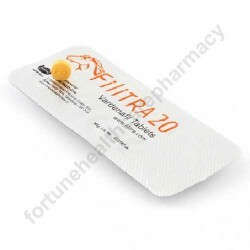 Fortune Healthcare LTD. manufactures Filitra 20 pill treats erectile dysfunction condition in men. The solution works by lowering arterial failure and boosting up essential enzymes which are actually responsible for getting back the lost virile powers in men. Main active component in the medicine is Vardenafil 20 mg (Generic Levitra). This component works in minutes for relieving erectile dysfunction condition. It does the job by boosting up flow of blood in the penile region. Consume one conventional tablet only once in a day. Swallow pill as whole with plain glass of water. Appropriate intake of Filitra 20 pill in presence of complete sexual stimulation helps impotent men to stay active for approx. 12 hours. The moderate powered Vardenafil 20 mg (Generic Levitra) pill shall lead to some side effects like headache, flushing, runny nose and dizziness. 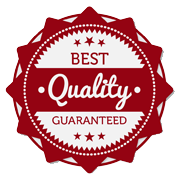 Such mild effects are nothing to worry about as they do not last for longer time. Overdose shall lead to severe side effects.